What Are The 3 Stages of the Resurrection? Stage 1: Christ was the first to be permanently resurrected from the grave. 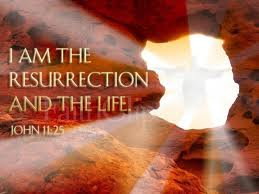 More resurrections will follow (1 Corinthians 15). Stage 2: Those who are saved will be raised (Rev. 20:5). First will be the church-age believers who have died and the believers who are alive on the earth when Jesus returns at the Rapture (15:51, 52). Next, the Tribulation saints and the OT saints (Dan 12:1,2) will be raised at the end of the Tribulation period and will serve with Christ in the Millennium (Rev. 20:4,5). Stage 3: All unbelievers will be raised. At the end of Christ’s thousand-year millennial reign, every unbelieving person, will be resurrected to stand before the throne of God and give an account of their works (Rev. 20:11-15)–the Great White Throne Judgment. *Source: The David Jeremiah Study Bible. Nashville: TN. : Worthy Publishing, 2013, p. 1594. Tags: David Jeremiah, Stages of the Resurrection, Three stages of the Resurrection, What the Bible says about the Resurrection, Who will be raised from the dead?